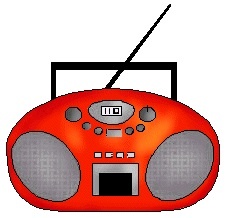 World Radio Day is.celebrated on February 13. It began in 2010 after Spain proposed that the UNESCO Executive Board include an agenda item on the proclamation of a World Radio Day. UNESCO’s Executive Board approved the agenda item in its provisional agenda, for the proclamation of a “World Radio Day” on 29 September 2011. UNESCO carried out a wide consultation in 2011 with diverse stakeholders, i.e. broadcasting associations; public, state, private, community and international broadcasters; UN agencies; funds and programmes; topic-related NGOs; academia; foundations and bilateral development agencies; as well as UNESCO Permanent Delegations and National Commissions for UNESCO. Among the answers, 91% were in favour of the project, including official support from the Arab States Broadcasting Union (ASBU), the Asia-Pacific Broadcasting Union (ABU), the African Union of Broadcasting (AUB), the Caribbean Broadcasting Union (CBU), the European Broadcasting Union (EBU), the International Association of Broadcasting (IAB), the North American Broadcasters Association (NABA), the Organización de Telecomunicaciones Ibeoramericanas (OTI), BBC, URTI, Vatican Radio, etc. The Board recommended to the UNESCO 36th session of the General Conference that it proclaim a World Radio Day at its 36th session, and that this day be celebrated by UNESCO on 13 February, the anniversary of the day the United Nations establishedUnited Nations Radio in 1946. It also invited all United Nations Member States, organizations of the United Nations system and other international and regional organizations, professional associations and broadcasting unions, as well as civil society, including non-governmental organizations and individuals, to duly celebrate World Radio Day, in the way that each considers most adequate. The Board further requested that UNESCO’s Director-General brought the resolution to the attention of the Secretary-General of the United Nations so that World Radio Day could be endorsed by the General Assembly and celebrated by the whole system. The matter was subsequently treated by UNESCO’s General Conference, which adopted resolution contained in the file 36 C/63. World Radio Day was thus unanimously proclaimed by all Member States of UNESCO in November 2011. The General Assembly of the UN endorsed the proclamation of World Radio Day, thereby becoming a Day to be celebrated by all UN agencies, funds and programmes and their partners. various radio industry bodies around the world are supporting the initiative by encouraging stations in developed countries to assist those in the developing world.At UNESCO the consultation, proclamation and celebrations were handled by Mirta Lourenco, Chief of the Sector for Media Development. In honour of the first edition of World Radio Day in 2012, Lifeline Energy, FrontlineSMS, SOAS Radio and Empowerhouse hosted a seminar in London. A variety of practitioners, academics and tools providers joined at the School of Oriental and African Studies to explore ways in which radio reaches even the most remote and vulnerable communities. Speakers included Guy Berger (Director for Freedom of Expression and Media Development at UNESCO), Dr Chege Githiora (Chairman of the Centre of African Studies at SOAS), Birgitte Jallov (Empowerhouse/ Panos London), Amy O’Donnell (FrontlineSMS:Radio), Carlos Chirinos (SOAS Radio), and Linje Manyozo (LSE). The panel was moderated by Lucy Durán (SOAS, BBC Radio 3, Human Planet). at the University of Pisa in Italy, a public event was held on 13 February 2012 to commemorate World Radio Day. The event was organized by Italradio and the Faculty of Engineering and Telecommunication. The seminar focused on radio broadcasting being an easy and cheap access to information. Pisa was chosen as the first Italian city to host an intercontinental radio station built by Marconi in the early years of 20th century. The International Radio Committee is formed by the most important radio broadcast organitations: ITU-International Telecommunication Union, Spanish Radio Academy, IAB-International Association of Broadcasting, ABU-Asia-Pacific Broadcasting Union, ASBU-Arab States Broadcasting Union, EBU/UER-European Broadcasting Union, AER-Association of European Radios, AMARC-World Association of Community Radio Broadcasters, AIBD-Asia Pacific Institute for Broadcasting Development, BNNRC-Bangladesh NGOs Network for Radio and Communication, URTI-International Radio and Television Union and AUB/UAR-The African Union of Broadcasting. Radio stations around the world are invited to promote the official interactive platform wrd13.com of the international WRD Committee by proposing to their listeners to deposit audio messages on it, in any language, which they will be able to download for broadcasting all day long on February 13. To celebrate the release of the award-winning film, The Monuments Men, the Telegraph has teamed up with Arrow, Penguin Random House and Twentieth Century Fox to offer readers a free copy of the original novel by Robert M. Edsel On Saturday 15 February 2014. Based on the true story of the greatest treasure hunt in history, The Monuments Men focuses on an unlikely World War II platoon, tasked with going into Germany to rescue artistic masterpieces from Nazi thieves and returning them to their rightful owners.A seemingly I mpossible mission: with the art trapped behind enemy lines, and with the German army under orders to destroy everything as the Reich fell, how could these guys – seven museum directors, curators, and art historians, all more familiar with Michelangelo than the M-1 – possibly hope to succeed? But as the Monuments Men, as they were called, found themselves in a race against time to avoid the destruction of 1,000 years of culture, they would risk their lives to protect and defend mankind’s greatest achievements. 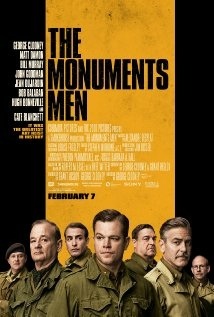 I would also like to see the award winning film, The Monuments Men which is based on the novel of the same name and is directed by and stars George Clooney and co stars Matt Damon, Bill Murray, John Goodman, Jean Dujardin, Bob Balaban, Hugh Bonneville, and Cate Blanchett. The screenplay is by George Clooney & Grant Heslov, And it is Produced by Grant Heslov and George Clooney. Cranford is an affectionate and moving portrait of genteel poverty and intertwined lives in a nineteenth-century village. One of Elizabeth Gaskell’s most beloved works, it centres on a community dominated by women and governed by old-fashioned ways. The formidable Miss Deborah Jenkyns and the kindly Miss Matty’s days revolve around card games, tea, thriftiness and an endless appetite for scandal, until change comes into their world in the form of the modern ideas of Captain Brown, a bank collapse, rumours of burglars and an unexpected reappearance from the past. Sherlock Holmes, scourge of criminals everywhere, whether they be lurking in London’s foggy backstreets or plotting behind the walls of an idyllic country mansion, and his faithful colleague Dr Watson solve these breathtaking and perplexing mysteries. In The Five Orange Pips and Other Cases, we encounter some of his most famous and devilishly difficult problems. Published as a ‘shilling shocker’, Robert Louis Stevenson’s dark psychological fantasy gave birth to the idea of the split personality. The story of respectable Dr Jekyll’s strange association with ‘damnable young man’ Edward Hyde; the hunt through fog-bound London for a killer; and the final revelation of Hyde’s true identity is a chilling exploration of humanity’s basest capacity for evil. This edition also includes Stevenson’s chilling story ‘The Bottle Imp’. Persuasion, Jane Austen’s last novel, is a moving, masterly and elegiac love story tinged with the heartache of missed opportunities. It tells the story of Anne Elliot, who, persuaded to break off her engagement to the man she loved because he was not successful enough, has never forgotten him. When he returns, he brings with him a tantalizing second chance of happiness.